His is the story that every mother tells to her wayward child who wishes to be a bounty hunter. From the Core to the outermost Rim, his name is legend amongst the scoundrels who scurry in the dark places of the galaxy. In death, he achieved the fame he so desperately sought in life. There are those in the galaxy who seem born under a bad omen, and Greedo certainly fit that description. From the moment he entered life, misfortune dogged the Rodian’s every step. While much of his history is obscured in conflicting accounts and misinformation due to the popular action-adventure holoserials, it is generally believed that his family belonged to the Tetsu Clan, hunted to near extinction by the ruthless Navik the Red, leader of the rival Chattza Clan. Greedo’s father, a skilled and successful bounty hunter of some great repute, refused to bow down to Navik’s bullying and was slain for his heroic defiance. Greedo and his family fled their home, hoping to stay two steps ahead of their blood enemies. 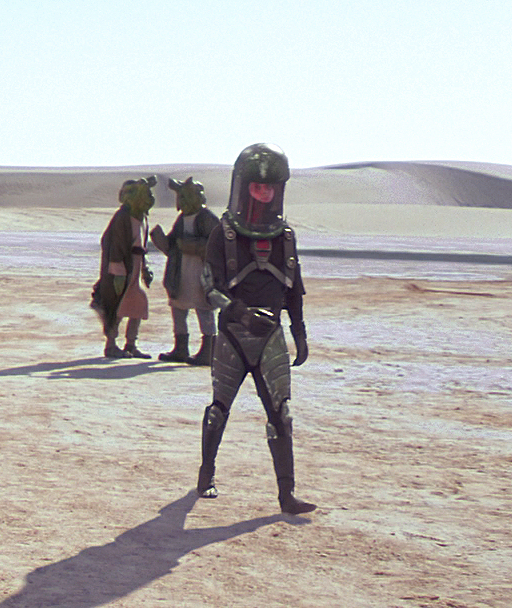 Over the years, Greedo’s family lived on U-Tendik, Nar Shaddaa, and Tatooine. The young Greedo had a hot temper, easily angered whenever he felt he was being slighted or embarrassed. Inheriting his father Greedo’s honorable name left Greedo the younger with big boots to fill, and fill them he tried. 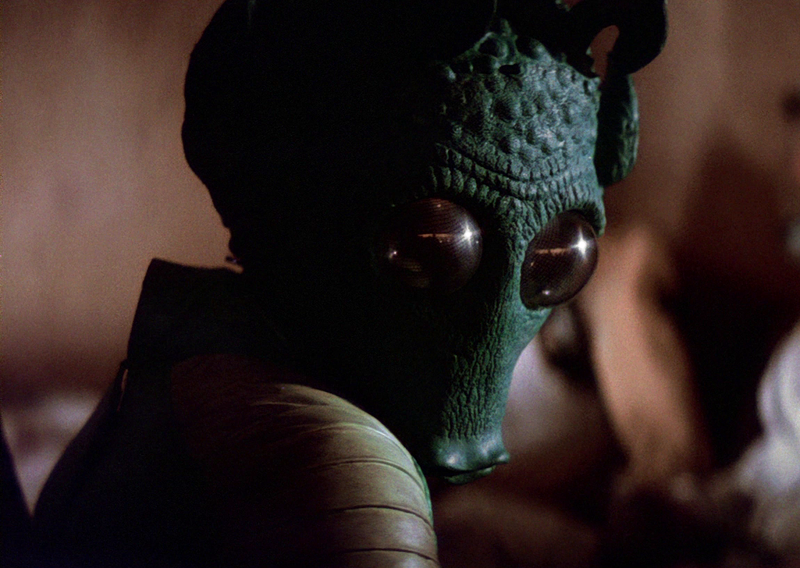 Greedo turned to a life of petty crime as a young man, a common thug with something to prove. It was said he liked hanging out at Jabba the Hutt’s palace with other tough-guy wannabes, spending his days playing games of chance while trying — usually unsuccessfully — to strike a romance with any one of Jabba’s exotic dancers. For a time, the Rodian’s fortune seemed about to take a turn for the better. After suffering many failures and ridicule at the hands of those he sought so hard to impress, the thug was taken in by Spurch “Warhog” Goa, a Diollan bounty hunter operating out of Nar Shadaa with his partner Dyyz Nataz. Warhog adopted Greedo as a sort of unofficial apprentice, showing him the ropes of bounty hunting and getting him into Jabba’s inner circle. At Warhog’s insistence, Greedo pursued the bounty on Correllian smuggler Han Solo — the bounty that would make Greedo galaxy-renowned. Upon cornering the evasive rogue in Chalmun’s Cantina in Mos Eisley, Greedo drew his pistol, prepared to collect on Solo’s bounty and — at long last — earn his rightful reputation as the son of Greedo the Elder. What happened next is the stuff of drunken cantina arguments and endless debate. 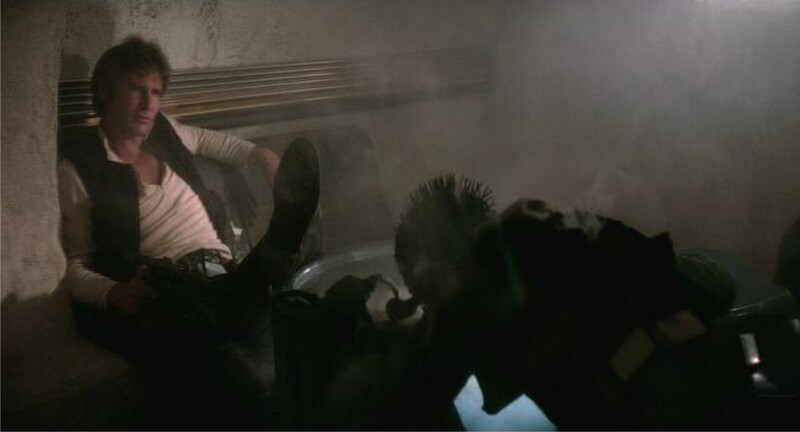 Even the ones who were there have differing accounts for whom shot first, but the end result is the same: Solo strutted out of the cantina, sly and smug, while Greedo lay facedown on the table, a smoking hole through his chest. Only Warhog knows the answer for sure, as he was there, seated in a corner of the cantina keeping close watch with two other Rodians — Thuku and Neesh — members of the Chattza Clan, who had paid Greedo’s traitorous mentor a healthy sum to push the luckless hunter into a confrontation with Solo as a subtle means of exacting their wrath. Greedo’s life — and death — serves as a warning to those who seek to enter the bounty trade with little more than an ego and a desire to get rich and famous. While some lack talent, sometimes it is the genetic predisposition of a species that prevents a being from becoming the bounty hunter he dreams to be. As a Chadra-Fan, struggling bounty hunter Tutti Snibit was often disregarded by potential clients because of his diminutive stature and lackadaisical attitude. Word in hunter circles has it that Tutti’s one and only successful capture was the beautiful Zeltron thief Malyssa Raventhorn, but he became so distracted by fine Cambrian wine and good conversation with his mark that he passed out and let his bounty escape his grasp. What Tutti lacked in strength, he more than made up for in his ability to schmooze. The easily overlooked rodent frequented such places of ill repute as The Rusty Bucket, Gak’s, and The Drunken Bantha, spending too many credits buying drinks for spacers, smugglers, and mercenaries. The squeaky-voiced guy with seemingly bottomless pockets played the life of the party, but his true purpose was much more calculated — networking and learning a great deal about everybody’s business. He appeared the drunken fool in public; nevertheless, his nosy nature came in handy as more gifted gunslingers, such as the nightmarish Kessel operative Bane Malar, Sun Guard imposter Moxin Tark, no-nonsense Thune, and even the legendary Kar Yang, paid a ransom for his intel more than once. When Sith Lord Darth Vader put out the call for bounty hunters to locate the crew of the Millennium Falcon, Tutti Snibit was the first to arrive, hoping to live down the Zeltron debacle at last, and be taken more seriously. Unfortunately, when stacked against such awesome being-hunters as Boba Fett, IG-88, and Bossk, Tutti was once more shoved aside, failing to even pass through the initial screening to stand before the Sith Lord himself. Dejected, but undeterred, the Chadra-Fan loitered about Vader’s flagship Executor after the debriefing, hoping to rub elbows with the hunters who had been selected and offer his reasonably priced assistance. He was approached by old acquaintance Boba Fett, who paid Tutti a significant amount to throw rival Bossk — whom Fett had known since he was a child — off the trail of the Falcon. Tutti jumped at the chance to work with the reputable Fett once more. As the Force would have it, two more hunters arrived late to the Executor: the lovely Tinian I’att and the silver-tipped Wookiee Chenlambec. The partners wanted an introduction with Bossk and paid Tutti an exorbitant fee to set up the meeting. While they claimed to just be simple hunters looking to form a mutual partnership with the Trandoshan, Tutti had it on good authority that the pair were actually Rebel sympathizers and freedom-fighters, making trouble for the Empire. To Tutti, they sounded like the perfect distraction. He accepted his fee, gave the duo their meeting, then retired to the nearest cantina for more gossip and free drinks for his hundred closest friends. Some time later, Bossk caught up with the jovial Chadra-Fan in The Smuggler’s Rest on Nar Shaddaa. As it turned out, I’att and her Wookiee betrayed Bossk and left him a prisoner on Aida, to be skinned for some Imperial governor’s lady friend. Bossk had only recently escaped with the aid of hunters Zuckuss and Furlag, and now the Trandoshan was looking to take his misfortune out on Tutti’s furry hide. Tutti deftly shifted the blame to Boba Fett, however, and “accidentally” revealed where Fett was last seen — with a captured Han Solo. Bossk reluctantly spared Tutti’s life and left with his new crew to intercept Fett. In celebration of his new lease on life, Tutti bought a round of drinks for the house to announce his early retirement from the bounty-hunting game. When facing the deadliest criminals in the galaxy, rage can be a powerful weapon in a bounty hunter’s arsenal, but only when tempered with discernment. If left unchecked, a hot temper can bring a would-be bounty hunter down faster than a blaster round. Nestled deep in the Outer Rim’s Hunnoverrs sector is the secluded planet of Stellan. Ruled by a theocratic priest-king, Stellan is a fiercely isolationist society, having almost entirely retracted from the galactic stage. Even their sacred beliefs remain largely unknown to offworlders, except there is fearful talk of a Vain Goddess that incited the galaxy to unending war as an offering of love and worship, and should the Stellan succumb to the Goddess’ song of bloodshed, the very soul of Stellan would be lost. Determined to maintain their sanctification, the Stellan prune their flock with fearful zeal, casting aside criminals, any mentally ill who are deemed a danger to others, and indeed anyone with an overly aggressive nature. Every Stellan child is subjected to intense screening at a very early age and, if seen as a potential threat to their monastic way of life, are named ter-Stellan, or “Exiled Ones,” and jettisoned into space in cramped migration vessels — their fate left to the will of the Force. Aboard one such doomed transport was young Jeigh Esse. With hair dyed black, eyes as obsidian as Chaos, and bone-white skin, Jeigh was among the most despised and feared individuals in Stellan history. Tradition tells that the young girl was one of the cruelest to be of the ter-Stellan — but conniving, too, framing other children for her misdeeds. There is no telling how many innocent Stellan were banished on account of Jeigh’s deception, scattered across a galaxy they were ill-equipped to survive. When at last Jeigh’s true nature was discovered, she was a barely a teenager, proud and rebellious. A true sociopath, Jeigh held no ideological values, but simply lived to create havoc. No one on Stellan mourned the day Jeigh was finally cast as ter-Stellan and rocketed into space. Even to the end, the young girl laughed defiantly at her exile, vowing that Stellan would eventually succumb to the Vain Goddess’ temptations and burn. 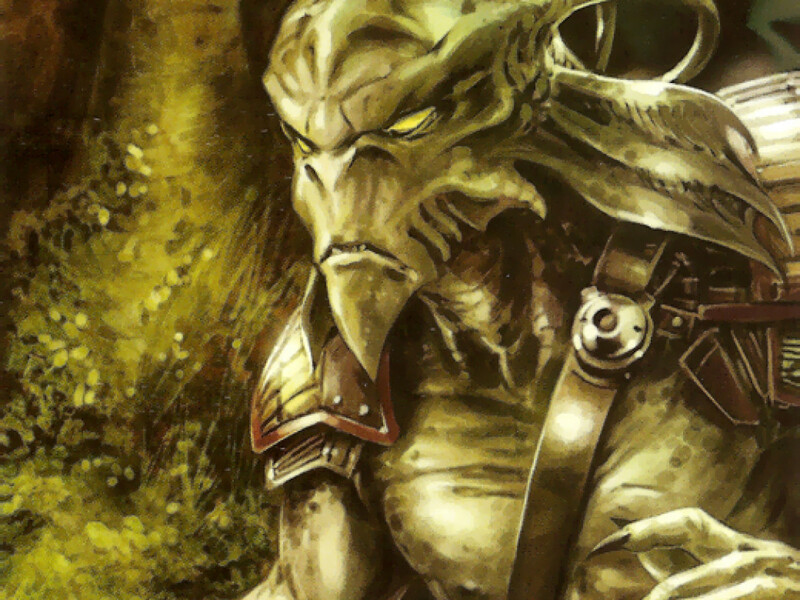 In space, Jeigh’s vessel was boarded by Rodian mercenaries belonging to the Chattza Clan. 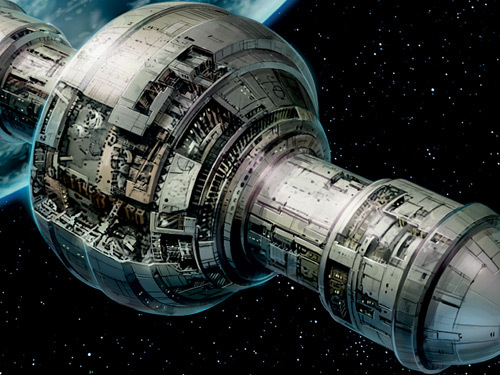 As Jeigh soon discovered, many of the Stellan’s vessels had met such an end, as pirates and slavers from nearby Rodia and Tatooine made regular stops to Stellan’s orbit for decades, simply to rob or capture the discarded ter-Stellan. Jeigh, however, fended off her would-be attackers with brutal aplomb. Rather than taking her as booty, the Chattza offered her a place in their ranks. The belligerent Jeigh, guided by the ruthless Chattza, was molded into a deadly weapon, and soon was loosed on the galaxy as a bounty hunter. Equipped with a polarizer she had constructed from a BlasTech EG-7, she blasted her way from one end of the Hydian to the other. Soon, though, it became apparent that her violent tendencies could not be tamed. She tallied an incredible amount of collateral damage on her hunts, gunning down innocents and criminals alike, relishing in loss of life and destruction of property. Once word reached the Chattza that their favorite “pet” was too reckless for their clients, Jeigh was retracted from the field and instead given a job that her clan leader — Navik the Red — believed she would be more suited for: Rodian gladiatorial combat, with the Tetsu Clan leaders as her mark. With countless enemies on all sides, the chances of a bounty hunter living to old age are low, but the grizzled Klatooinian Castas was determined to beat the odds. He’d already lost the use of his left eye while on a job, and had adopted a more cautious approach by the time he was offered employment by the enigmatic Aurra Sing. He’d worked with Sing in the past, though never fully trusted the eerie woman. In shadowed corners of noisy cantinas, tales were told of Sing’s complicated past. Some said she was trained by the vampiric Anzati, while others believed her a tool of the Hutt Wallanooga. Still other wild claims persisted that she had even been trained as a Jedi once long ago. The few occasions he’d prodded her about her past, Sing neither confirmed nor denied the rumors, instead smiling wickedly at her own infamy. This time, Sing had a contract from Count Dooku, leader of the Confederacy of Independent Systems. A sizeable bounty had been placed on the head of Jedi Master Mace Windu. Recently, the Holonet had been filled with stories of Windu’s Clone Wars exploits, including an eyewitness account that he’d dispatched an entire droid battalion on Dantooine with nothing but his bare hands. Going up against a guy like that would seriously put a crimp in Castas’ plans for a long life. However, Sing assured the Klatooinian that he was only providing backup, along with herself and Trandoshan hunter Bossk. In reality, this job was a sort of proving mission for the late Jango Fett’s young son Boba, who had been at odds with Aurra in the past, but was now her protégé. Castas agreed, despite the reminder of his friend, Nautolan pirate Fong Do, that things never went well when Castas worked with Sing. With the promise of an easy job clouding his judgment, Castas ignored his buddy’s warning and joined up with Sing and her crew aboard Boba’s inherited ship, Slave I. From the get-go, the job proved more difficult than anyone could have guessed, as Aurra insisted on letting Boba make the kill. Twice Boba tried to eliminate Windu and twice he failed spectacularly, instead destroying an entire Venator-class Star Destroyer above the planet Vanqor. Castas grew increasingly irritated by Sing’s way of handling things, as he was unwilling to trust his fate to a boy he hardly knew. Though they had failed to eliminate Windu, they managed to take a trio of high-ranking Republic soldiers hostage from the wreckage on Vanqor, whom Sing planned to use as bait to lure Windu into a trap on Florrum. Finally, Castas had enough, worried that the droid-punching Jedi general would arrive with a fleet of Republic warships in retaliation. 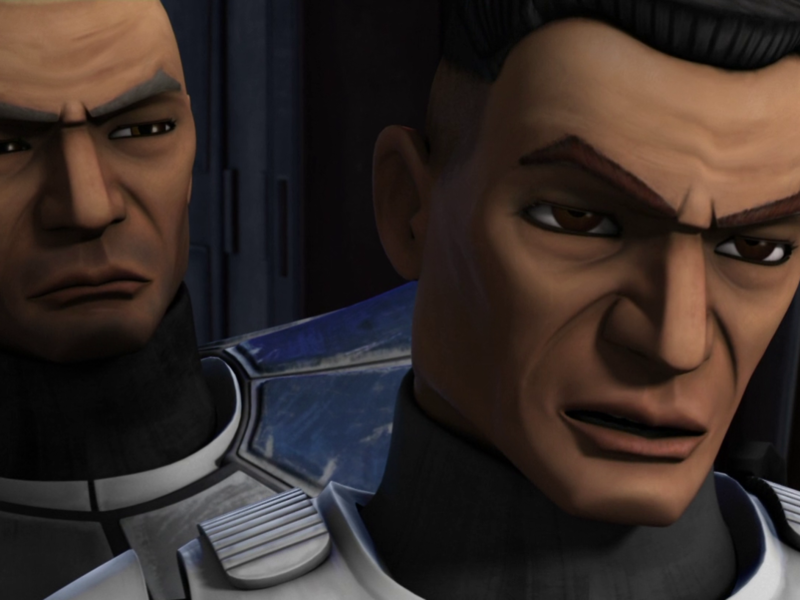 As soon as they touched down on Florrum, Castas left Sing’s crew and contacted Fong Do back on Coruscant, prepared to sell the location of the Republic prisoners to save his own skin. Before he was able to finish the call, however, Sing discovered his treachery and put a laser bolt through his remaining eye, making Castas just another statistic. Luck often trumps skill, but should never be considered a substitute. Growing up in the slums of Sernpidal, Rango Tel never saw his life going anywhere. But after a drunken cantina brawl left him the unlikely victor in a fight with a deadly criminal wanted for the murder of eccentric Pa’lowick smuggler Neeamesh Dym, Rango found himself entitled to a hefty bounty. Spurred on by his sudden good fortune, Rango arrived to collect his payment from Dym’s daughter, Aneesa. However, the young female had already spent her savings scouring the galaxy for her beloved father’s killer. With nothing left to pay, she offered the young ne’er-do-well her late father’s custom-built jalopy Dusty Duck, and her services as its pilot. Rango accepted, setting his sights offworld on a brighter future in professional bounty hunting, now that he had the taste for it. When it came time to christen himself as the new scourge of the underworld, Rango turned to the legends of the fearsome Mandalorian warriors that he’d heard in his childhood. The Great Clan Wars were only recently abated on Mandalore, with the pacifist New Mandalorians claiming leadership of the planet, but Rango recalled the legendary warriors who rode on terrifying Basilisk war droids, following Mandalore the Indomitable into combat against the Republic. Rango purchased his own suit of Mandalorian iron from a fast-talking shopkeeper on the tradeworld of Feriae Junction. Unbeknownst to the fledgling hunter, the armor was, in fact, an overcharged — and slightly used — vac-exposure suit, earning him the name “Tank Head” behind his back. Desperate to find a patron, Rango contacted Orin Nyell, a well-connected racketeer in the Dalonbian sector for whom he’d pulled a couple odd jobs during his misspent youth. Perhaps sympathetic to the eager youth’s plight — or taking mild amusement from the lad’s likelihood of failure — Nyell offered Rango a job. The gangster had investments further Spinward on the water world of Ploo IV, from where he’d smuggled water shipments to parched Sernpidal for sale at inflated prices. Nyell previously had Fluggrian rival Borzu Nale assassinated by notorious Aldar Beedo, and now he tasked Rango with gunning down Borzu’s son Kam, lest the son assume his father’s mantle and muck up Nyell’s Plooriod operation. The inexperienced Tel, along with Dym — who fell in love with the hapless rogue as they soared across the stars — spent months aboard the Dusty Duck tracking Rango’s quarry. At last, their search brought them to Tatooine, where Kam had entered the Boonta Eve Classic under the name Elan Mak in order to kill Beedo, also slated to race. Aneesa Dym set the Duck down just outside of Mos Espa, and tended to the usual repairs with a batch of DUM-series pit droids she purchased from a Toydarian junk dealer in town. Meanwhile, Rango ventured into the heart of Mos Espa, attending Boles Roor’s glimmik concert at the Poodoo Lounge in hopes that Kam would show along with the other racers. The following morning, Rango arrived early at the Boonta Eve Classic, prepared to make up for a lifetime of mediocrity. Just before the race, Rango cornered Nale in an alley. Predator and prey faced off in a quick draw, with Rango confident that his Mandalorian beskar’gam could deflect anything the Fluggrian had to offer. To Rango’s shame, however, a single bolt to the chest from Nale’s heavy blaster pierced his flimsy covering, laying him dead in the dust. Despite this failure, Rango’s efforts left an indelible impression on Kam Nale’s future. More cautious after Rango’s ambush, Nale eventually returned to Ploo IV and reclaimed his father’s business, consolidating his family’s power while hiring more experienced bounty hunters to maintain the pursuit of Beedo. Finally, during the Fire Mountain Rally on Baroonda, Nale’s mercenaries captured Beedo and brought him before the new Fluggrian crime lord for retribution. Sometimes, it’s the lure of fortune that ruins a hunter. Such was nearly the case with the yellow-skinned bounty hunter Remel “Egghead” Fud. A mercenary in the truest sense of the word, Fud considered himself a sportsman, living for the simple thrill of a good hunt and healthy profit. Led by an unquenchable desire for credits, Fud hired his gun all over his home sector of Nembus, running with Thalassian slavers, Hutt cartels, and private scum alike — whoever could pay the most. Despite his size and durable rubbery skin, Fud wasn’t much of a fighter, choosing instead to rely on the latest in bounty hunting gadgetry. He had a penchant for electronics, preferring to implement the Golan Arms RGL8 Electronet Grenade to snare his prey and a device he had specifically made that he dubbed “The Agony Inducer” to keep more skilled combatants docile. It was while hunting in the Nembus sector that Fud first ran afoul of young stormtrooper commander Beilert Valance. Valance was a cold-blooded warrior, even by the Empire’s standards, known for getting results at all costs. 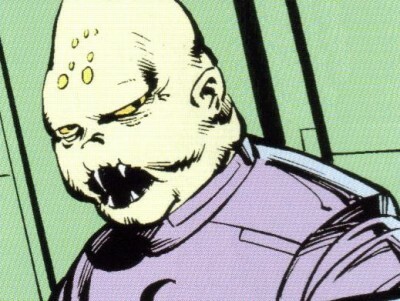 The cunning strategist was at the forefront of the Empire’s efforts to purge the Nembus sector of undesirables — Fud included. Slavers, pirates, and mercs alike didn’t stand a chance against Valance’s well-coordinated and absolute tactics. Fud and many of his fellows fled their home sector for a time, setting up camp further down the hyperlanes. As for the rumors that Fud, himself, gave information to Valance concerning the location of smuggler and pirate strongholds for a steady supply of creds and clemency, that was something the mercenary staunchly denied…as he polished his newest shiny and expensive gadget. Because of Valance’s sterling reputation, Fud was quite surprised to find the commander on his doorstep some time later, asking for his help. 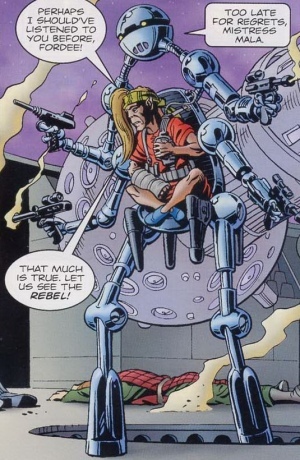 Following the Nembus campaign, Valance had suffered serious injuries during a Rebel strike, and had since left the Empire to hunt the criminal element in his own way as a blue-armored bounty hunter. He’d already captured the pirate Alabar Double Ax and claimed Alabar’s ship as his own, redubbing it Kill Switch. Now he was culling from his underworld contacts to help in his new pursuit. For the right price, Fud happily agreed to join Valance’s merry crew of miscreants. Valance, though, was no longer the white knight to whom Fud had previously sold information. 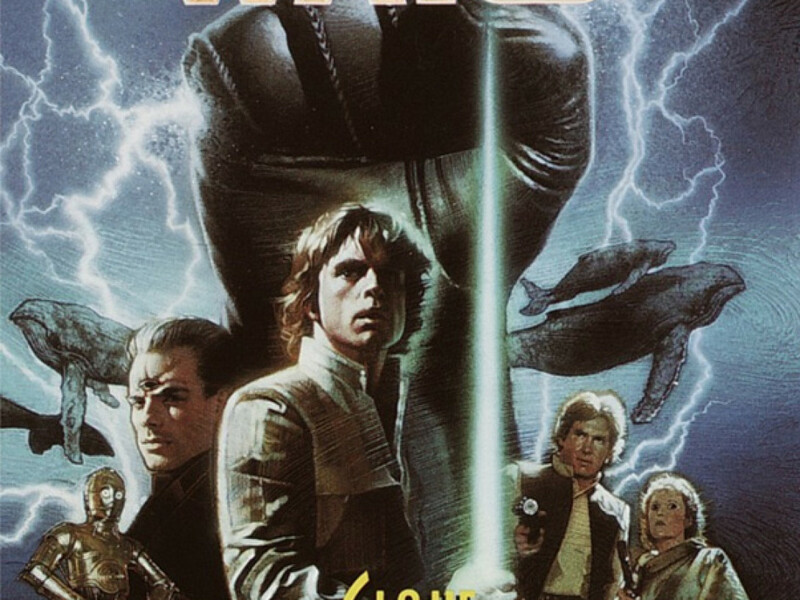 He was unhinged and dangerously obsessed with tracking down some unnamed farmboy — and a pair of mechanicals — captured on the late Death Star’s transmission tapes. 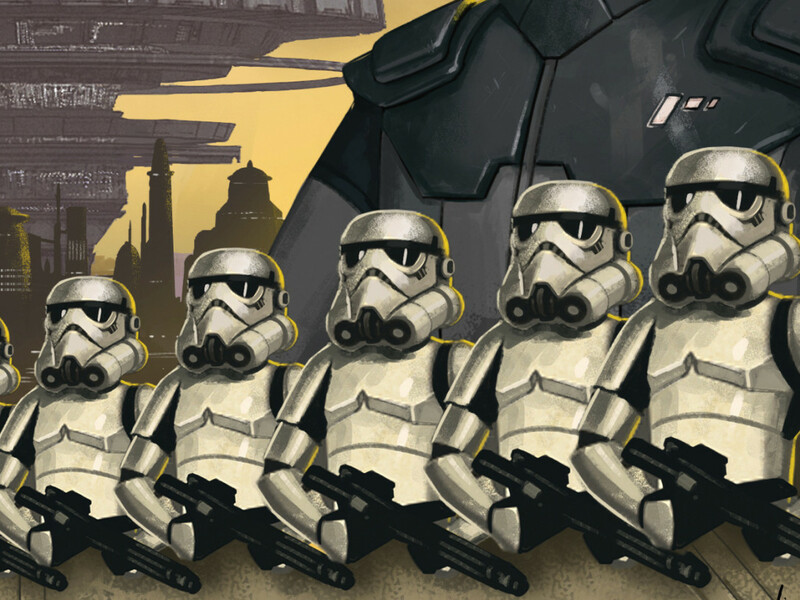 With little explanation, Valance led his men all along the Outer Rim, cleaning house. At first the game — and the pay — was good, until Valance ordered his crew to totally annihilate the Anglebay Station medial facility on Telos IV. Destroying a haven of sick and wounded sentients and their robot caretakers did not sit well with Fud’s personal conviction of “fair game,” but Valance backed up his outrageous demand with more-than-sufficient credits. Before detonating the unprotected hospital, Fud overheard an elderly patient babbling on about Han Solo — a known associate of the farmboy — as well as another friend of Valance’s target: Jaxxon, a Lepi smuggler operating out of Nar Shaddaa. Valance tasked Fud with journeying to Nar Shaddaa to locate information about the farmboy. Distrusting his boss’ swiftly unraveling sanity, Fud dipped into his own pool of informants for someone to watch his back. He chose Dafi, a H’nemthe hunter and old rival of the giant green rabbit back in the Corus days, now turned bitter enemy of the bunny after a botched run in the Corporate Sector cost the H’nemthe his ship and a finger from both hands. Dafi jumped at the chance to settle the score with Jaxxon, whom he blamed for the Corporate Sector job, and even brought along some of his own muscle for good measure. Fud and Dafi cornered Jaxxon on the darkened streets of the Smuggler’s Moon, pumping him for information regarding the farmboy’s whereabouts. Unfortunately, Jaxxon’s partner, Amaiza Foxtrain, showed up before they could extract their intel and gunned down Fud and Dafi. Due to his tough hide, Fud actually survived his encounter, though he did not return to his boss. Instead, he parted ways with mad Valance and slipped quietly into the galaxy to resume his career as a solo hunter, forever chasing his fortune. Few hunters have demonstrated such will to survive as the unassuming Sephi, Mala Mala. She has long since abandoned her real name, though still lives with the scars of her former life as a bounty hunter. In those days, she surrounded herself with men, eager to compete and earn the approval of her male counterparts in her profession. She’d buy drinks, tell jokes, and flirt with the handsome ones — anything to be noticed and treated as an equal. In their spare time, the rowdy hunters blew off steam by rounding up defenseless droids and blasting them in target practice, and Mala Mala joined right in, laughing with the rest as she gunned down innocent mechanicals. Despite her small frame, Mala Mala had carved for herself a decent career, even able to afford her own ship. Life looked better still when, quite impossibly, she captured the eye of dashing bounty hunter Nikk Zavod. In no time at all, Mala Mala was madly in love. She and Zavod made plans to form a more permanent partnership — both professionally and romantically — and capture the Wookiee fugitive Chewbacca together. Betrayal stung deep when Zavod tricked Mala Mala into investigating a malfunction in her ship’s thrusters — then powered the ship to life and left for parts unknown. With Mala Mala so near the thrusters, she was horribly burned during takeoff, but worse, lay helpless on the hard earth, surrounded by the men she considered her friends. They merely laughed at her, then left her to die. Ironically it was Chewbacca, the very being she had intended to capture only hours prior, who stumbled upon her charred remains. Taking mercy on the pitiful creature, Chewbacca brought the Sephi to his shuttle and tended to her wounds, nursing her back to life. The petite woman spent many sleepless nights in recovery, listening to Chewbacca mumbling in his sleep. Unable to understand Shyriiwook, she only caught fragments of Chewbacca’s middle-of-the-night calls for his wife Mallatobuck, and arrived at the simple phrase “Mala Mala.” She adopted the name as her own, deeming that a rebirth was in order. Once she was on her feet again, she and Chewbacca parted company as friends. Mala Mala would always hold the Wookiee dear, yet found herself unwilling to trust other organics — especially men — instead turning her devotion to the mechanicals on which she used to take potshots. She gathered the broken remnants of the droids she’d so carelessly destroyed and, much like herself, rebuilt them to new life — among them 4D and B6. She spent her days with her robotic friends in isolation, making a slow return to bounty hunting. Shortly after the famous Battle of Yavin brought a new hope to the galaxy, Mala Mala was one of many hunters searching for the mysterious Rebel pilot who had destroyed the Death Star. She reluctantly joined up with a crew for the first time since her accident and eventually caught Thurlow Harris, a Rebel pilot who barely escaped the Death Star battle, on his homeworld of Centares. Darth Vader arrived soon thereafter and subjugated the pilot to endless torture, at last extracting the name of the Hero of Yavin: “Skywalker.” At the mere mention of that name, Vader flew into a rage and ordered all the bounty hunters executed in order to keep the name a secret from his Emperor. Only Mala Mala escaped, but not before confronting Thurlow. After all, he had betrayed the Alliance, and she felt no mercy for men who turned on those who trusted them. Fearing for her life, Mala Mala took Skywalker’s name straight to the Emperor on Coruscant, believing that once the secret was out, Vader would have little reason to kill her. In return for her service, the Emperor offered her a chance to serve him personally, but she kindly refused, wishing only her freedom, a new ship, and a helping of fresh droid parts to restore. Amused by her plucky spirit, the Emperor agreed and Mala Mala went along her way. Years later, following the destruction of Sernpidal during the Yuuzhan Vong War, early reports indicated the mighty Wookiee warrior Chewbacca had perished. Mala Mala was hit hard by the news, fondly recalling the gentle soul who had restored her life. At the end of the day, there are enough tragic, funny, and ironic stories of failed bounty hunters to fill the Encyclopedia Galactica. It is not a career for the faint of heart or weak in spirit, but a dangerous job that requires guile, patience, and wisdom to rival a Jedi’s. But as long as there are icons such as Boba Fett, there will always be a thousand more hopefuls striving for greatness. Special thanks to Rich Handley, Abel G. Peña, Tim Veekhoven, and Eddie van der Heijden. 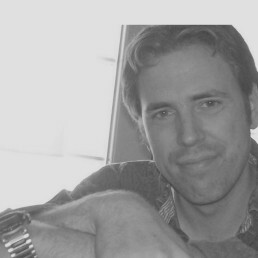 Greg Mitchell is a screenwriter and novelist and the author of The Coming Evil Trilogy and Rift Jump. Along with Rich Handley, he co-authored the reference book Back in Time: The Unauthorized Back to the Future Chronology for Hasslein Books. Through StarWars.com’s What’s the Story feature, he authored the Dusty Duck databank entry and contributed to the Silya Shessaun databank entry. He can be found at thecomingevil.com, Facebook, and Twitter.